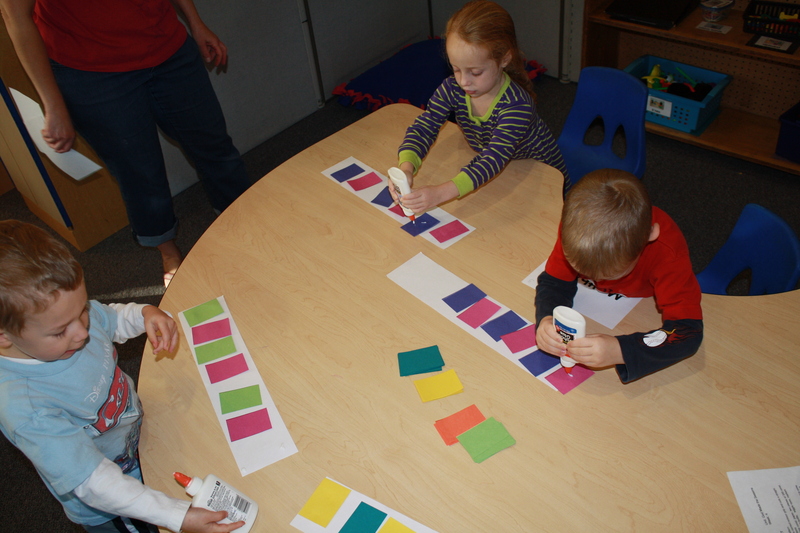 You may have noticed that we do an abundance of activities that involve patterning. Why in the world do we focus on this so much in all the different ages? Out of all mental skills, pattern recognition is said to have the highest correlation with general intelligence. Pattern recognition is the ability to recognize order in a chaos. Patterns can be found in ideas, words, symbols, numbers, and images. They can also be found in behavior, routines, and in nature. The ability to recognize, identify, and create patterns not only supports mathematical learning, it also contributes to broader social development. 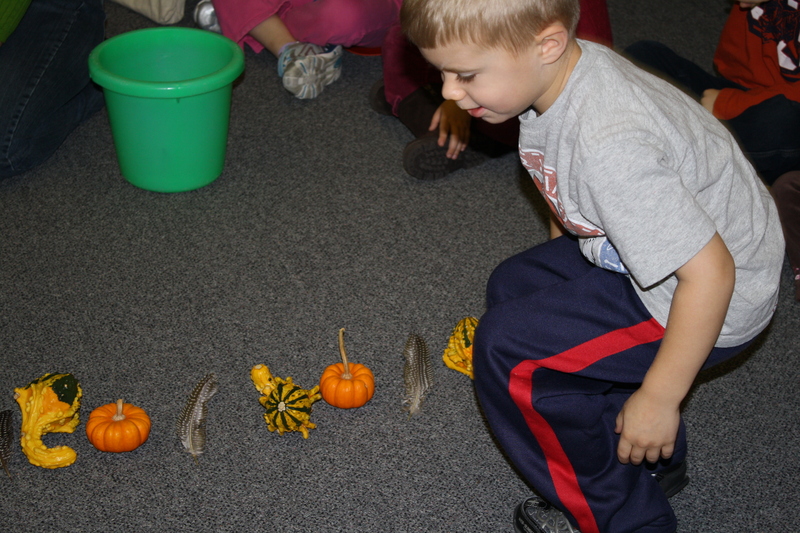 By understanding patterns, children are able to make predictions about what should come next. This predictive ability begins shortly after birth and continues throughout our lives. Based on past behavior, babies can predict that cleaning up will follow eating a meal and that putting on clean clothes will follow taking a bath. Likewise, pets can predict that taking a walk may follow eating dinner. No doubt, understanding patterns helps all of us maneuver more confidently in our environment. Nearly every desirable occupation requires pattern recognition skills. Doctors often read patient histories and charts to make diagnosis and prescribe treatments, attorneys study case histories before they present their case, analysts study data to predict future price movements, and salespeople use patterns to sell products. You can read the whole article by clicking on the photo below. There are patterns in word formation and in reading. There are patterns in music. Patterns are an integral part of our world. You may hear us use phrases such as AB, ABC or AABB sequence. 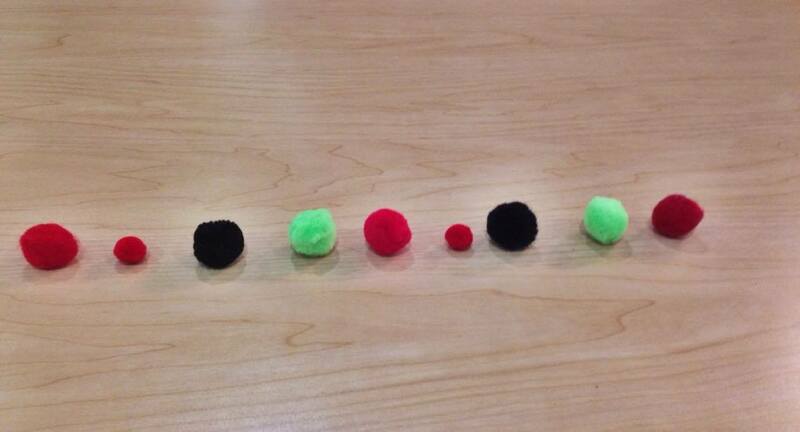 These are some of the beginning forms of patterns recognized by young children. Zebra stripes are an AB pattern: black, white, black, white . . . If we lined up the people in our building in a boy, girl, teacher, boy, girl teacher pattern we would be using the ABC pattern. More complex patterns allow for multiples of items etc. And so, we practice patterns a lot! You can too! Here are some ideas of activities you can do. Bonus – they are all ones you can do indoors on these cold winter days. Give your child two or three types of tape (i.e. scotch tape, masking tape and painters tape) have your child tear pieces putting them in a pattern. By the way, this also helps develop their fine motor strength that I wrote about in my last post! Washi tape would also be a great medium for this activity. Gather stuffed animals together. Divide them into piles of small and large or small, medium and large. Line them up in those patterns. Use smaller pieces of tape to affix a long piece of tape (sticky side out) on the wall or window. Give your child cotton balls and q-tips and suggest they make a pattern on the tape. For older kids you could also add squares of toilet paper. Make a noodle necklace using a variety of types of noodles. Using tape make roads and parking spaces. Make a sign that says parking in patterns only – car, truck, car, truck . 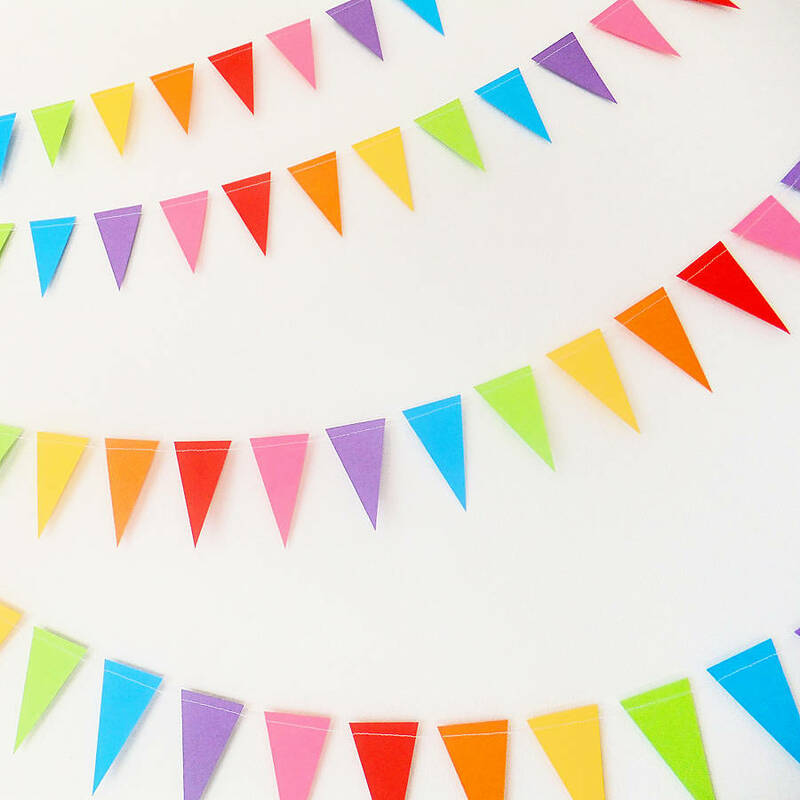 . .
Make a banner. Cut patterned paper into triangles. Staple them onto a ribbon in a pattern. Hang the banner to decorate your place space. Have your child make patterns with markers on popsicle sticks. Follow those patterns as you build with Legos. Line super hero or princess toys into patterns. Use playdough and cookie cutters to line up a pattern. Make a pattern clothes line. Tie a string across a room. 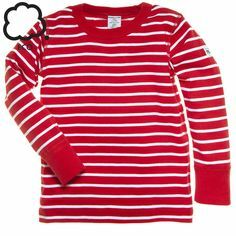 Gather clothing that has patterns (stripes, etc.) and clothespin them onto the line. I wonder what other patterns could you make with these fun items! Happy New Year! Have you made a resolution? We hope each of you enjoyed a Christmas and New Year celebration filled with family, friends, food, fun and fellowship! With the new year, many of us think about how we can better ourselves and what changes we can make to improve our present and even our future. With that in mind, I got to thinking about what areas our staff feel are important for young children; things that we can influence and that will improve their future. The list could be overwhelming and unattainable when we think about peace, acceptance in the hearts of all, a world that understands the importance of education . . . . . . I’m sure you and I both feel inadequate when faced with those ideals. Today, though, I will focus on a few more practical areas our staff feel would support our children’s futures in education – surprisingly these are all focused around physical development. I found a few good blog posts that cover these topics well so I’m going to link to those. Building a strong core (the intrinsic muscles that lie deep within the torso) is the reason that tummy time is encouraged for babies. A strong core supports a child in sitting comfortably which enhances focus and less wiggles. A strong core provides a good basis for everything else the body does. Here are two, of many, articles about the importance of building core strength. We are seeing more and more children struggle with activities that involve hand strength and coordination. Fine motor skills (movements — such as picking up small objects and holding a spoon — that use the small muscles of the fingers, toes and wrists) are crucial for success in a variety of school related activities; writing (letters and numbers), drawing, cutting and gluing. Think about early learning activities often included in Kindergarten and beyond. These are often included as part of the process. It is hard to be successful with the thoughts involved if a child cannot manage the physical aspects. We can support fine motor strength and coordination throughout early childhood. Luckily the activities involved in developing these muscles are fun! I’d also encourage you to search “finger gym” on Pinterest. You’ll see a whole host ideas and activities. An article in Highscope Extensions Curriculum Newsletter states, ” From birth, children have learned about the world by touching, tasting, smelling, seeing, and hearing. 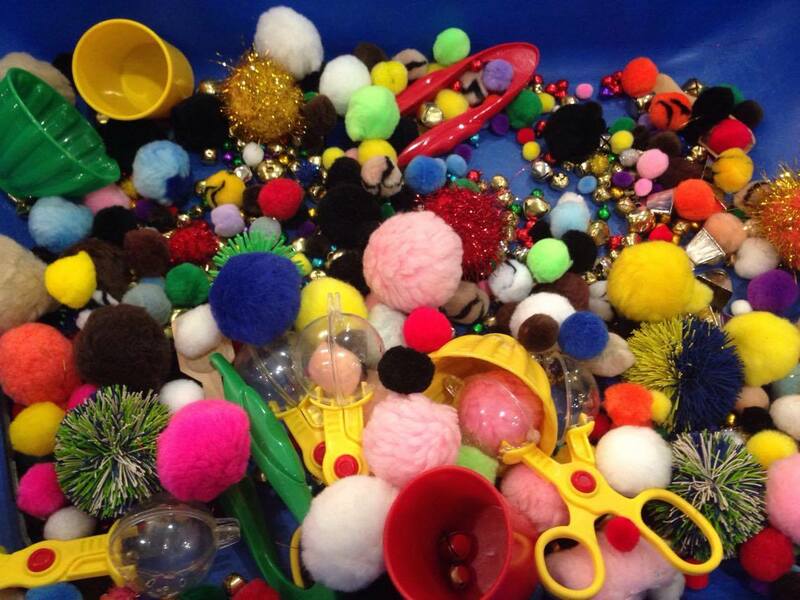 Sensory play also contributes in crucial ways to brain development. Think of it as “food for the brain.” Stimulating the senses sends signals to children’s brains that help to strengthen neural pathways important for all types of learning.” In our world filled with schedules and technology we often need to be intentional about including sensory experiences for young children. You can read this article (including what young children learn through sensory experiences found on page 8) here. As I am writing this I’m beginning to feel a sense of worry for our kids. I worry that our society doesn’t promote experiences that enhance these skills. I worry that our children are not offered enough “natural play.” Play that allows for full exploration, self guided experimentation, trial and error, and so much more. Play that is open-ended. Play that is like what we did as children. Play that naturally enhances and supports the areas I’ve mentioned above. 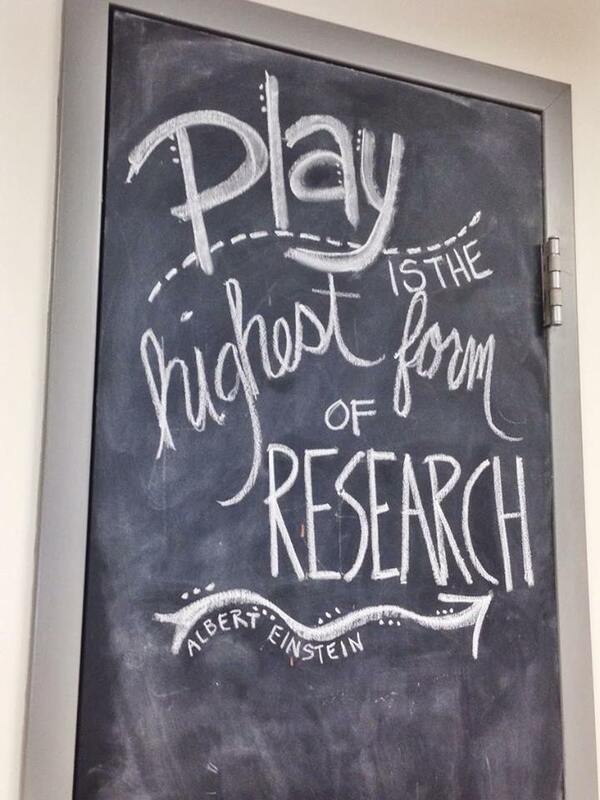 So perhaps our “resolution” for our kids should just be – PLAY MORE!